It was an honor to be invited to present “Hove (The Wind)” at this great museum. The Executive Director, Mariam Stepanyan, was very gracious and helpful with securing rights to one of the photographs used in the film. It was great to talk before a full house and also to meet the great staff of the museum. One memorable moment, among many, was that an older Armenian woman shared with me the fact that she felt very connected to this story. Her mother, she confided in me, took her aside as a teenager and told her that she had to leave a baby behind on the death march into the Syrian desert. This woman also told me that, as far as she knew, she was the only one in her family that knew this. Her mother had only told her. When I think of the pain and weight this woman has carried by being the only one her mother has told it is heartbreaking. The legacy of the damage done by the Genocide seems to reverberate out and touch new generations again and again. I find it so powerful and deeply sad that this woman carries this family secret alone. None of her brothers or sisters apparently know her mother’s secret of their lost sister. Another woman shared a story of her husband. She is not Armenian but her husband, who passed away was. She said, on many occasions, over the decades of their marriage, she found her husband sitting up in the middle of the night. Whenever she asked him about it he would only say that it had something to do with family tragedy and the Genocide. She mentioned it to me, because one of the indelible images from the film is Shirleyann’s character (Nina) sitting up on the edge of the bed staring out into space, haunted by something. We learn some of what is haunting her by the end of the film. In the case of this woman, who found her husband up in the middle of the night, she never found out what his family’s tragic story was. He took it to his grave. These stories, confided to me, leave me with many emotions. Hopeful, that my film has done a reasonable job of honoring these people’s memories. Troubled by the obvious legacy of deeply felt anguish and pain that the Genocide has caused. Anger, at the notion that any of these experiences could ever be denied by the perpetrators: Denial, their final and greatest act of cowardice. It also makes me very grateful that Facing History is now using “Hove” in the classroom and that more and more American kids (Armenian and non-Armenian) are learning the history and that our film is playing a small part in launching that discussion. Next up, I will soon give an update on film festivals to come! Also, I will be presenting “Hove” to the St. Vartan’s upper grades of Saturday school (Armenian cultural and language) later in January. Thanks as always for your interest! Sorry my posts have been so absent lately! Much going on. The Arpa Film Festival was fantastic. Thank you to Alex Kalognomos and Sylvia Minassian for a wonderful experience. Probably the high point for me was to have “Hove” play before the great film “Sonbahar” (Autumn), by the great Hamshen filmmaker, Ozcan Alper. I had an opportunity to meet some very cool Armenian filmmakers including Vem, who has directed a bunch of major music videos as well as film and has got an amazing graphic novel out now called “Hollyvood”, check it out at this link: http://www.hollyvoodsite.com. This graphic novel is the starting point for a film of the same story. Look for it at the multiplexes in the future. Very interesting and bright filmmaker. 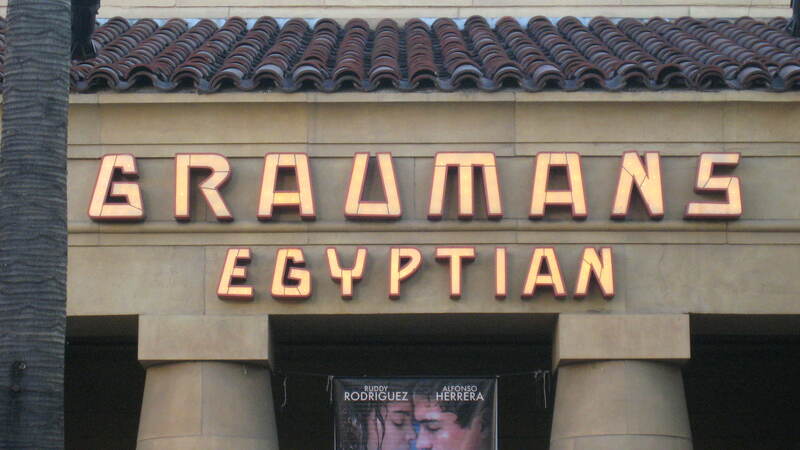 It was wonderful that it was held at one of the classic Hollywood movie theatres, The Egyptian. Anytime an event like this is connected with the golden and for me, haunted, past of the great age of Hollywood it is thrilling. I also got to talk with Marco Khan, the great Armenian (!) character actor that you have seen many times – even if you don’t know it, Pirates of the Caribbean, 2012, Iron Man to name a few. What an imposing physical presence and the guy could not be kinder or gentler. Continue to work on my bigger, feature length Armenian Genocide project. It is really helpful to bounce some of my plans off of other filmmakers in the Armenian community. 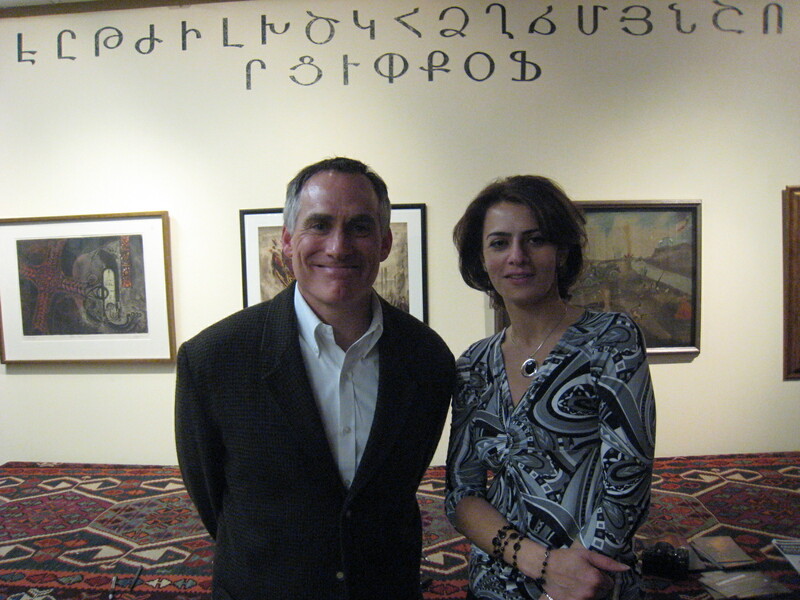 More to come on my visit to the Armenian Library and Museum of America in Watertown, MA.